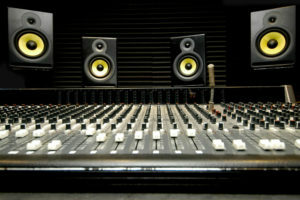 Whether you’re producing your own music or mixing someone else’s, sound quality is always at the forefront of your mind. 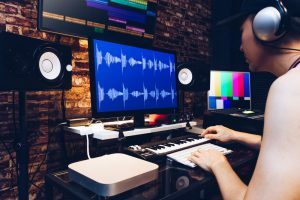 Owning a decent studio monitor that produces crisp, uncolored, audio playback is essential in ensuring that your final cut is perfectly mastered. 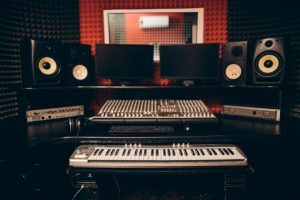 Luckily for you, this article will help steer you in the right direction when it comes to shopping for studio monitors on a budget. 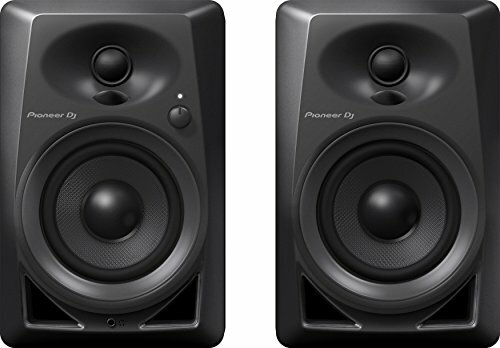 We’ve reviewed the three best studio monitors under 150 to help you decide which is the right one for you. 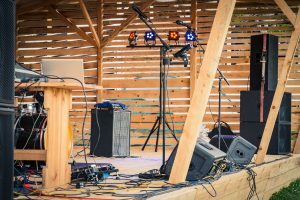 Unfortunately, you tend to get what you pay for when it comes to audio equipment. 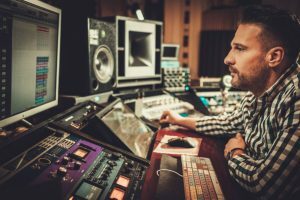 If you’re looking for decent playback for your recording studio but don’t have a huge amount of money to invest, then it can be tricky. 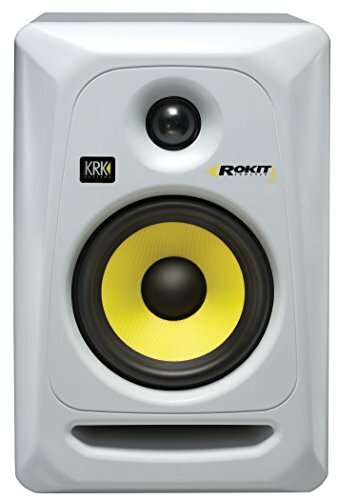 KRK has over 30 years of experience in producing monitors for professionals in the recording industry, and their Rokit 5 G3 is well suited and priced to fit smaller projects and home studio spaces for recording, mixing, mastering, and playback. This compact studio monitor measures approximately 9 x 7.5 x 11 inches, so it is easily accommodated within your recording space. It offers fantastic clarity and volume (up to 106dB) for its size and price. As with most monitors these days, the Rokit 5-G3 is powered (active), so you don’t need a separate amplifier and can plug it straight into the mains. With multiple audio input connectors, this monitor is pretty universal and should adapt to whatever recording setup you currently have. The radiused front baffle and front-firing bass port allow for flexible positioning in your room, reducing distortion from sound waves reverberating off walls before they reach your ear. 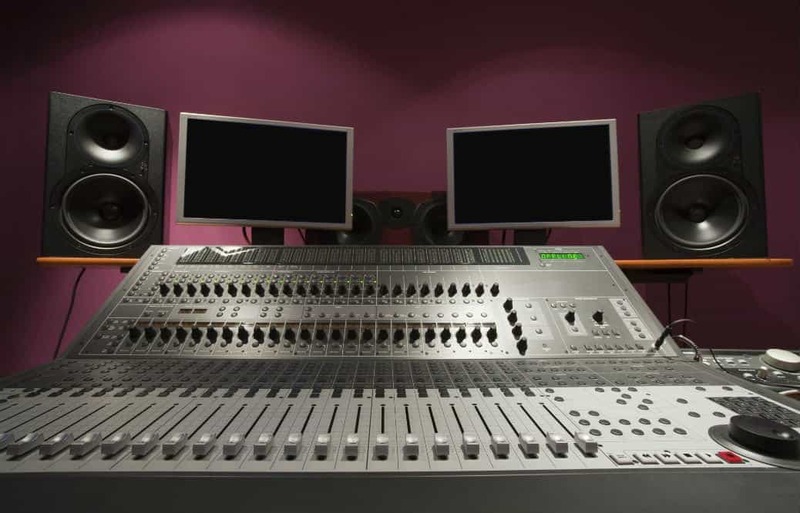 The high- and low-frequency controls on the back of the monitors also help to tailor the user experience to suit the monitor’s location in your studio and your preference. Being bi-amp, the combined 50 watts of power is split two-ways, feeding the woofer and tweeter separately, so there is much less chance of overloading them. This also offers maximum headroom and reduces intermodulation distortion. 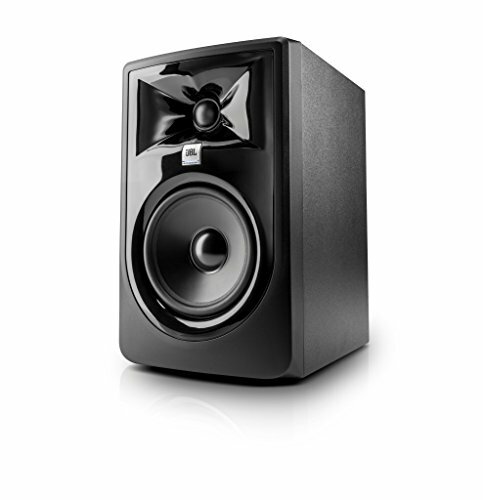 The monitor features a five-inch, lightweight glass-aramid composite woofer with a quality bass performance starting at 45Hz. There is also a one-inch, soft-dome tweeter, providing clarity and extended response on the high-frequency range up to 35kHz. This frequency range is rare in a monitor of this size and price, and the optimized proprietary waveguide technology allows for superior stereo imaging. Established over 70 years ago, JBL is a world leader in professional audio equipment. Their 305P MkII is a new model, which is part of a series of monitors of different sizes, reputed for their quality and affordability. Measuring approximately 9 x 7 x 11 inches, the monitor is compact, making it perfectly suited to a smaller recording environment. Featuring multiple input controls, it is adaptable to most recording setups. Easily the most attractive monitor out of our three featured here, the JBL offers a fantastic 82 watts of power from dual integrated class-D amplifiers. 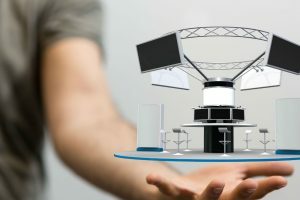 While class-D amplifiers don’t have the best reputation on the market due to some distortion problems in the upper frequencies, they do offer the best energy efficiency. The technology has improved rapidly too, which means that distortion is now minimal, if at all, present. The dynamic range offered by the power peaks at 108dB, which means that with the greater power, comes better volume from a single monitor than others on the market in this price bracket. The long-throw, five-inch woofer provides accurate and tightly controlled bass while the one-inch, woven-composite neodymium tweeter allows you to enjoy detailed high frequencies. 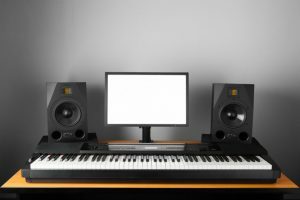 The monitors have a frequency range of 43Hz to 24kHz, which isn’t as large as the KRK monitors. Still, JBL took things to another level when they updated their transducers, which means that this monitor offers superb performance when it comes to peak handling. The fine-tuned ferrofluid damping means that you can enjoy faster high-frequency transient response, and the enhanced woofer design allows for greater low-frequency linearity and lower harmonic distortion. Featuring a broad sweet-spot, the JBL delivers you a crystal-clear representation of your audio, even when listening off-axis. 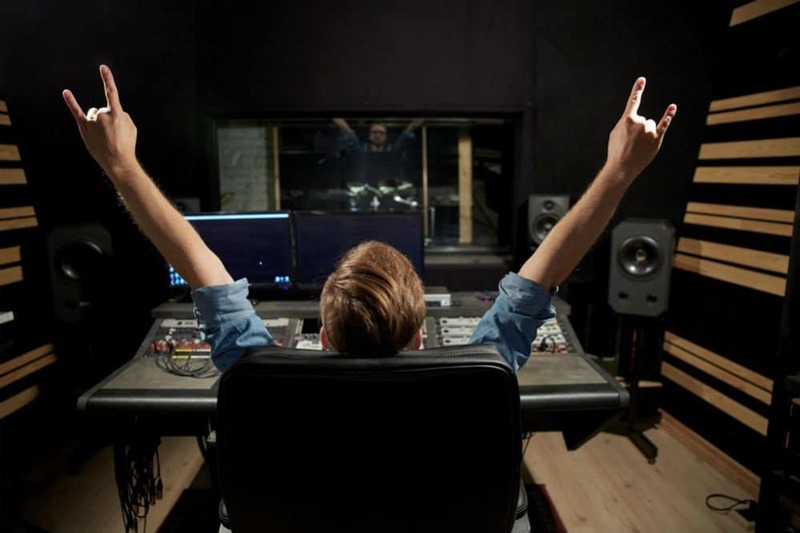 Finally, over 100 hours of strenuous testing on this product ensures that your monitor will last for years to come, making it a great investment for any recording studio. Our last contender comes from another brand that is synonymous with high-quality audio equipment—Pioneer. Also boasting more than 70 years experience in the industry, their DM-40 compact monitors come as a pair, offering 3D stereo sound at a fantastic price. Each monitor is slightly smaller than the other two monitors featured here, measuring approximately 8 x 6 x 9 inches. Nevertheless, they boast specs that are worth looking into. Inheriting technology from Pioneer’s professional S-DJX series of speakers, they each accommodate a four-inch fiberglass woofer and ¾-inch soft-dome tweeter. These are perfectly aligned to ensure a well-balanced frequency response. The tweeters help to channel high frequencies in every direction due to their fitted DECO convex diffusers. What these do is allow for great stereo sound and a wide sweet spot, which is great if you are moving around your console a lot. The curved front edges of the monitors deliver clean sound with minimal resonance. What’s more is that the built-in, class AB amplifiers provide crisp, clear sound with low distortion. 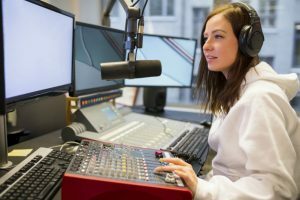 The frequency range is rather limited at 70Hz to 30kHz, so it may not be ideal if you are recording or mixing with a lot of basses. Having said that, this can easily be rectified by purchasing a separate subwoofer, which is worth investing in either way, especially if you’re working heavily with low-frequency audio. To be fair to all three studio monitors reviewed here, choosing one winner was really tough. All of them offer fantastic audio playback and minimal coloration despite its rather low price. While the pair of monitors from Pioneer probably represent the best value for money, we still slightly favor the single monitor from JBL due to its greater frequency range and cleaner sound. Providing the greatest power, volume, and unrivaled performance at peak handling, the JBL 305P is our overall winner for best studio monitors under 150. 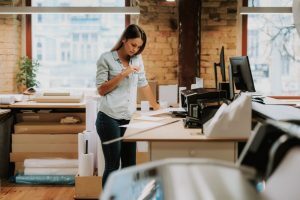 The stringent and thorough testing carried out by the manufacturer also offers great peace of mind that this monitor makes for a solid investment.